Kyle Davis is the technical marketing manager at Redis Labs. One of the hardest parts about writing a user-facing app or service is controlling access to resources. Decisions about access control are some of the earliest to be made and can make or break an entire platform. It’s usually a trade-off between granularity and speed. Let’s explore how to leverage Redis to get granular control and speed at the same time. One approach is to set up “user levels,” typically numbers or roles such as “admin,” “regular user,” “privileged user,” etc. This approach alone is usually not a very viable path as you run into a never-ending additive process (“super-super-admin” or “disabled-regular-user,” etc.) or create a mess of widely spaced user levels and hope for the best. The other approach is to enable specific actions (e.g. edit, view, update, etc.) to be performed on a user-by-user level. For our purposes, we’ll call it a “capability,” but you can think of it as something similar to a GRANT in SQL or simply a domain-specific, action-based permission. 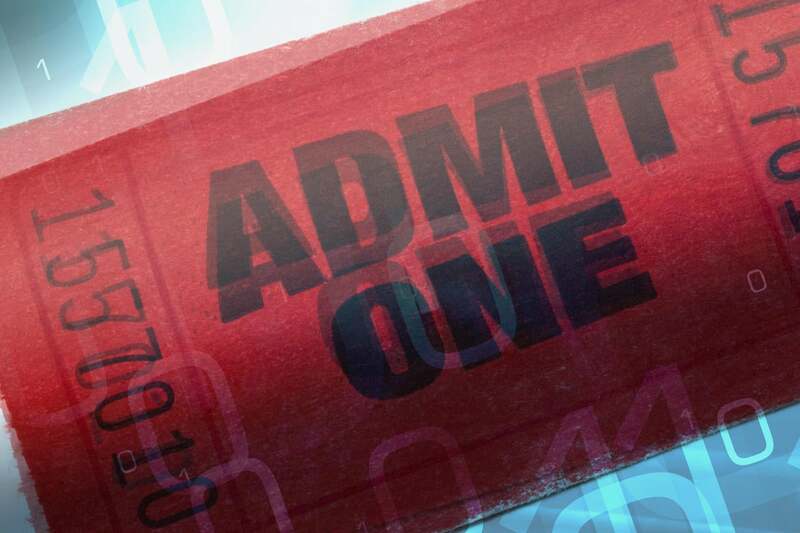 Access control based on action is a flexible, granular approach to securing your resources. Each user is given a list of things they can do and when the user attempts to perform any action, you check the user’s capabilities against what is required of that action. Sounds simple enough, right? This can be a tricky thing to code and it has to be as fast as possible because whatever latency, transit, or computation time this step requires is overhead that cuts into the processing you need to do with the rest of your app (likely stuff you care more about than capabilities and privileges). First, let’s look at a highly efficient way of storing capabilities and later we’ll explore some more advanced functionality. The heart of this approach is to use binary data, which might seem strange. Redis, unlike many databases, can manipulate and store binary data directly. We can leverage this feature to flip individual bits in a bitmap to represent capabilities. Each capability represents a bit at an index. To have access to a page or route in your application, the user must have the bits set by the page or route. In the above example I’m setting bits 0, 3, and 4 to 1 in the key user:kyle. If a bit isn’t yet set, Redis assumes it is a 0. The technique relies on bitwise operators with the Redis BITOP command. Bitwise operators may seem intimidating at first, but just remember that they are similar to boolean operators. 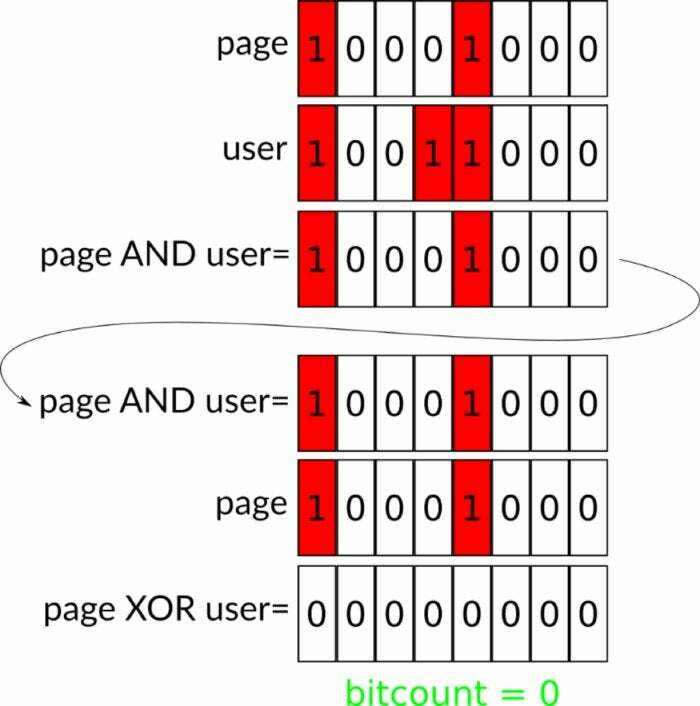 However, whereas boolean operators apply to a single bit (usually represented as true or false), bitwise operators compare each value on a bit-by-bit basis. The 0th bit of value 1 is compared to 0th bit of value 2 and that returns the 0th bit of the result. We do this for every bit in the two values. We’ll need to use two operators for this technique: bitwise XOR and bitwise AND. Let’s explore how this works using a few examples. In this step we’ll bitwise XOR the results of the first step with the page bitmask. In this operation, we’ll return all zeros if they match. Finally, we can leverage BITCOUNT to see how many ones are set in the second step. 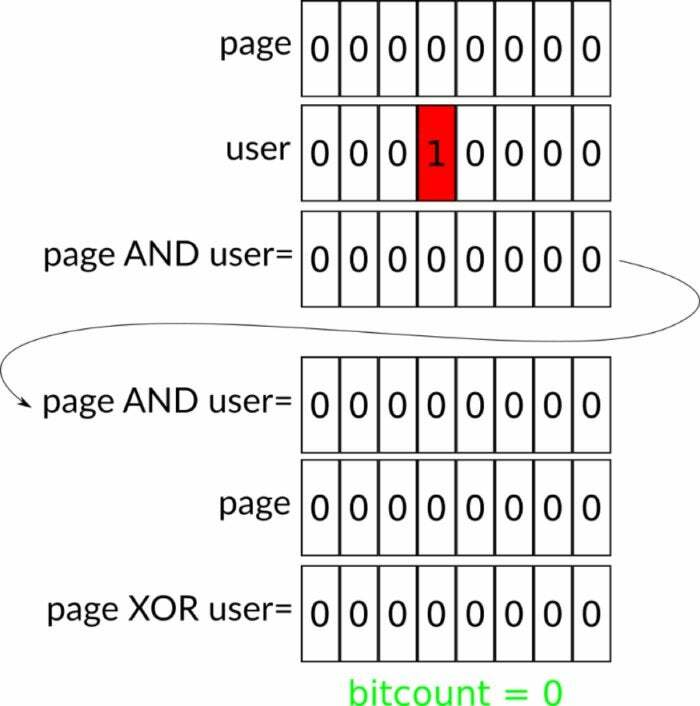 BITCOUNT = 0 means that the user has the required capabilities. If the third step returns 0 to the app level then access would be granted to perform an action. Now, let’s take a look at another situation. In this case the user has only some of the capabilities required to view the page. In the first stage, ANDing the bits together yields only the common bits between page and user. In the second stage we see that XOR will find the bits that exist only in one. 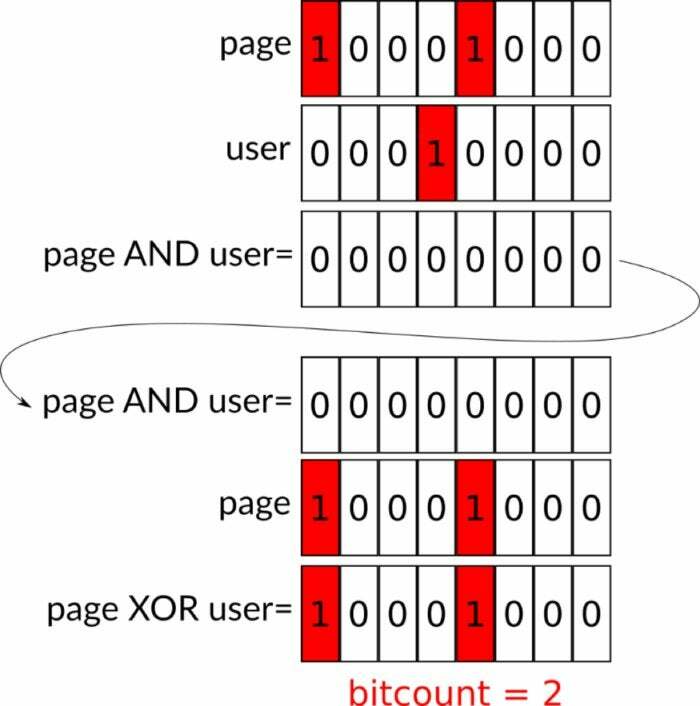 When we BITCOUNT it, we’ll see that it’s greater than zero which indicates that the user is not let through. BITCOUNT > 1 means the user doesn’t have the right capabilities. When the user has some capabilities but not the ones needed, the ANDing will result in all 0 bits. During the XOR stage, the final result will be the same as the page. Finally, BITCOUNTing the end result will yield the same number of bits as the page (e.g. greater than zero) so the user would not be let in. In this case, the page is publicly viewable and requires nothing, but the user has some capabilities (that aren’t actually needed). The first stage will result in all 0 bits. Pulling that down into the second stage and XORing the same thing will, of course, result in all zero bits. 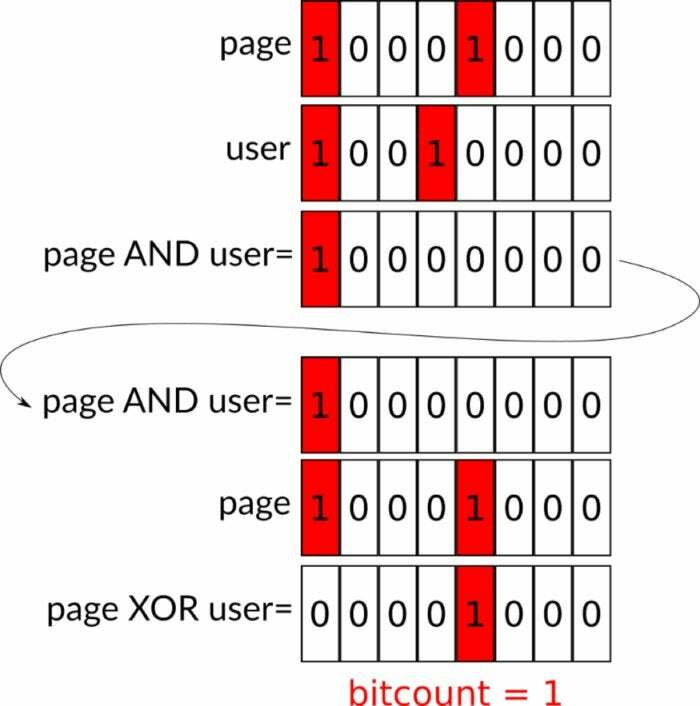 BITCOUNTing this will result in 0, which means the user can be let in. Of course, if the user has no capabilities and the page requires none, the truth tables will be nearly identical to this case and will grant the user access. The only truly relevant result is the third, from BITCOUNT. In the above case, we have a result of 0. That’s great—that means that there are no conflicting bits between the page and the masked combination of the user and the page. If the result of the BITCOUNT was greater than zero, we would know that something doesn’t match and we wouldn’t let the user access the resource. Once you’ve established this binary key for your user capabilities, you aren’t limited to just individually storing bits—remember, this is binary: the ultimate free-form. The above command shows two subcommands (GET, SET) but you can certainly do as many as you’d like. The datatypes can be either signed (ix) or unsigned (ux). Since this is binary, nothing is enforced (remember this point). That means, for example, you can set a u8 to bit index 0 then get a u4 at index 0 (this would get the first four bits of the u8). Let’s take a look at another example of using BITFIELD. This time we’ll return the binary representation of a byte. First, we’re going to delete the key we’re working with. This is critical (for this example) because we’re not working on a key level but rather working on a bit level inside a key and we might not be starting empty. Now, we’re setting the first byte (u8) to 127. Those who know binary numbers will see that it’s the highest value of a 7-bit number. This looks complicated, but it’s actually accomplishing something quite simple. We’re getting back the 1 or 0 (u1) of each bit in the byte we set previously. As expected, we’re seeing one zero and seven ones. With the above command we’re getting two unsigned 4-bit values at index 0 and index 4. Harkening back to your COMPSCI 101 class and binary counting, we know why we’re getting 7 (0111) and 15 (1111). User A is the overall site administrator. User B is a region administrator. User C is a section administrator. User D is a page administrator. Let’s say only section administrators and site administrators should be able to modify section configuration parameters. By using our bitmask technique from above (AND then XOR) we’re effectively ignoring the u7. Then we use BITFIELD separately to incorporate the u7 as our additional user level. Now, let’s evaluate these vs our resource. As you can see, the third result (BITCOUNT) is zero (which is our “you’re good” capability check). The fourth result is the required user-level of the page. And the fifth result is the user-level. Evaluating the third result, we’re fine since the result is 0. However the fourth (resource level required) is higher than the user level (fifth result), so the app would reject the request. This is a slightly different case—the third result is returning a number greater than zero so this request would be rejected. However it’s important to note that it would pass on the second check—we see that the user level is acceptable.